2017 saw developments that were beneficial to the Turkish medtech industry, like the continued progress of the billion-dollar City Hospitals project, but also initiatives such as forthcoming Online Health System Market that will have a mixed impact on industry players. Additionally, the year also saw medtech suppliers increasingly frustrated by the growing debt that is owed to them by Turkey's hospitals, an issue that remains unresolved. 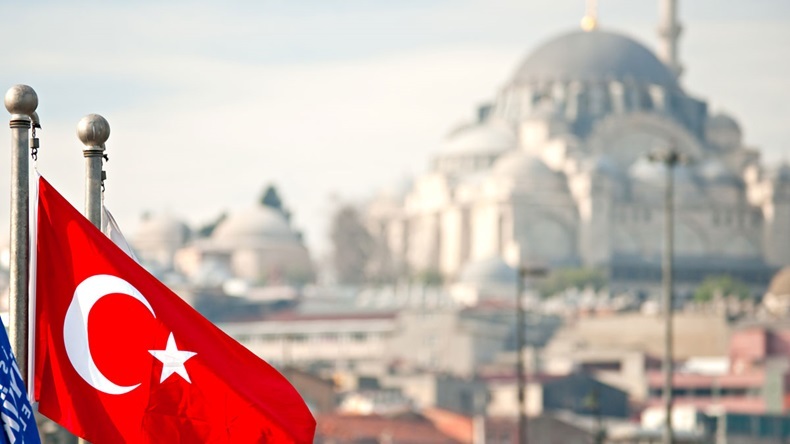 This article give an overview of the Turkish medtech market in 2017 and developments to look out for this year. 2017 was a mixed bag for medtech companies operating in Turkey's $2bn-plus medtech market. On the one hand, there were some positive developments, one being the continued progress of Turkey's City Hospitals project, an ambitious program to construct 29 giant hospitals in 29 Turkish provinces. But while the project was targeted to be completed in 2018, some of the hospitals look likely be ready only in 2019. That said, the opportunity for new sales this initiative will open up for suppliers of medical technologies and health care products and services is significant. Once completed, the City Hospitals project will add about 41,000 new hospital beds to the health care system. Moreover, with the ongoing efforts to modernize Turkey's existing hospitals, the total number of new modernized hospital beds added to the country's health care system will likely be closer to 90,000. Big multinational players like Siemens Healthineers, Toshiba, GE and Abbott have already jumped in to capitalize on these opportunities, having sealed a number of supply deals with the new hospitals last year and the year before. But the Turkish government is also seeking to promote local production of high- and lower-tech medical products. Turkey wants local production of magnetic resonance, computerized tomography, ultrasonography and digital X-ray devices. Undersecretary of the Ministry of Health, Eyup Gumus, recently disclosed that the Ministry had held positive negotiations in 2017 with over 20 companies in these particular fields. The terms of these agreements include the government giving these companies a 10-year purchasing guarantee (seven years plus optional three years), on condition that they have a technology transfer partnership with local firms. Government tenders for local production of different medical products are expected to be organized in 2018 this year. In spite of these efforts by the Turkish government to promote local production, the many SMEs that make up the majority of Turkey's medtech landscape have complained that they are not really in a position even to become small partners for the multinationals. And a big source of discontent is the debt owed by Turkey's hospitals to medtech suppliers, which, at the end of 2017, grew to TRY7bn ($1.9bn). While this sum is owed to both multinationals and SMEs, it is the smaller players that bear the brunt of this debt problem as they do not have the deep pockets of the multinationals to buffer the blow. According to industry sources, a big part of the debt, TRY5bn, is owed by university hospitals, while the remaining TRY2bn is owed by Ministry of Health hospitals. Payments by university hospitals on average took more than 1,000 days (almost three years), while Health Ministry hospitals took an average of 250 days (almost 8.5 months) to pay their suppliers. Frustrated with the situation, in mid-October last year, the Turkish medtech industry took the unprecedented step of sending a letter – jointly authored by five industry associations – to the Health Industries Guidance Committee, which operates within Turkey's Ministry of Health to promote local production of medical technologies. The letter was signed by ARTED (Association of Research Based Medical Technology), MASSIAD (Association of Medical Device Producers and Suppliers), which represents multinational companies active in Turkey, and four organizations that represent mainly SMEs: ORDER (Association of Producers, Importers and Exporters of Orthopedics and Spinal Medical Devices), SADER (Healthcare Products Manufacturers and Representatives Association) and TUMDEF (Federation of Medical Device Manufacturers and Suppliers Association). This appeal however appears to have had no effect. While there had been a number of meetings between medtech industry representatives and Ministry bureaucrats in the three months since the letter was sent, the government has not yet come up with a concrete solution to the debt situation. Instead, these talks that took placed focused on a new online health market system for procuring hospital products and services. The system, which comes into effect this year, intends to bring together hospitals and suppliers on an online platform. Tenders will be posted onto this online system and the companies will put in their proposals and products onto this platform. Hospitals will be able to choose the best options for their needs. The Ministry of Health will make the payments to the companies within 90 days and the Turkish Post Office will distribute the products to the hospitals. A protocol with the State Supply Office (DMO) will be signed and the DMO will buy some simpler, bestseller and consumable medical supplies and put them online for Hospitals, using its public expertise in finding quality products with best prices. The system will also allow hospitals to borrow from each other if one has surplus products that the other needs, which will be an efficient stock management for public hospitals. The system is expected to solve the procurement problems of university hospitals. The Ministry will be using their budgets to make the purchases online for university hospitals and supply them with whatever medical supplies they need. The Social Security Institution (SGK), the public payer, will then make reimbursement payments directly to the Ministry. The medtech industry's response to this new online system has not been positive. Not only has this system been imposed upon the industry, it feels that there has not been sufficient consultation with industry reps regarding the implementation of this online platform. Another worry is that SMEs, again, will be the ones that will be left floundering with this new system of procurement. As many SMEs in Turkey mostly operate as local dealers for the multinational companies, their roles might be redundant if their big partners are able to just put their products online and sell them to Turkish customers. According to data from the Turkish Medicines and Medical Devices Agency (TMMDA), there are 8,200 dealer companies in Turkey, all together employing tens of thousands of people. It remains to be seen how this issue, together with the debt problem and other bones of contention, will play out for the Turkish medtech industry this year.